Morrissey's outburst in Saturday's Guardian, calling the Chinese a "subspecies", provoked acres of outraged newsprint. And yet, as Mikhail Goldman argues in this week's diary, whilst many of us in countries like the UK may not consciously agree with the idea, we certainly end up benefiting from the very treatment of the Chinese and other Asians, Africans, Latin Americans and East Europeans as "subspecies". Our hypocritical outrage, Goldman points out, is no less outrageous. Morrissey, a singer not renowned for his subtlety and diplomacy, put his foot in it again recently. In an interview for the Guardian’s magazine, he described the Chinese as a “subspecies”, in relation to the country’s record on animal welfare. Whilst the comment was received with abhorrence by most, and rightly so, perhaps Morrissey had inadvertently verbalised a truth about the way people in poor nations are treated by people in rich nations. Whilst many of us in countries like the UK may not consciously agree with the idea, we certainly end up benefiting from the treatment of the Chinese and other Asians, Africans, Latin Americans and East Europeans as “subspecies”. Whilst many scholars of international relations and NGOs attempting to tackle global poverty have rejected the terms First, Second and Third Worlds, to describe the rich industrialised nations, the former Soviet Bloc and the world’s poorest countries, perhaps the terms are apt. Not in the sense that the First World is more worthy, deserving and developed than the Second and Third, but in the sense that there is an unspoken rule that the needs, desires and convenience of people in those countries are considered first by those in power. The world economy is a system for ensuring that resources flow towards the capital and political power of this First World. Almost 90% of world household wealth is concentrated in North America, Europe and the high income Asia-Pacific countries. According to the IMF, GDP at purchasing power parity per capita, a measure that takes into account the relative cost of living in a country, is 56 times higher in the top 20 countries than it is in the bottom 20. However outrageous we might find Morrissey’s belief that the Chinese are a subspecies, the European and North American companies that have moved their manufacturing to China often end up treating their Chinese workers as such. Human rights organisations report routine violations of workers’ health and safety, extremely long working weeks and pay at or below the minimum wage (currently 960 Yuan or £92 per month in Beijing). The minimum wage is set at a monthly, not hourly, rate of work, so it is in a business’ interests to get as many hours of work out of workers during the month as possible. Chinese workers have reported working shifts of up to 24 hours for as little as 20p per hour. 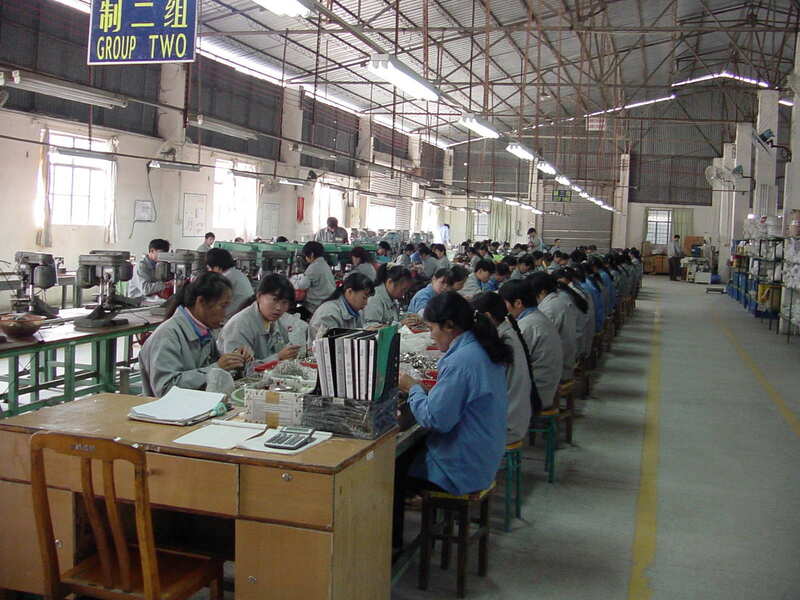 A staggering 600,000 workers are thought to die of overwork in Chinese factories each year. Workers, who are often migrants from rural regions, are frequently made to live at the factories they work in, in conditions described as “the human equivalent of battery farming” by Independent journalist Johann Hari. In a country where protest leaders and independent union organisers face long prison sentences, there is very little that workers can do to ameliorate their conditions without the threat of extreme repression. No doubt this information will spark a number of different reactions from different people. The most cynical, will state that, unpalatable as these statistics may be, they are inevitable costs for our high standard of living. If we, in the UK and other rich countries, want widespread access to high tech gadgets (or cheap food, oil, minerals, etc) then the cost of their manufacture (or cultivation, or extraction) has to be kept low. If there are desperate Chinese (or Kenyan, Nigerian or Bolivian) people looking for work then wouldn’t it be better to give them these jobs rather than have them live in destitution? This argument conveniently ignores the reasons why those people were so poor in the first place and is favoured by neoliberal economists and politicians, whose attitude always seems to be “Let the market decide”. They wash their hands of any responsibility for the subhuman conditions of foreign workers. A similar situation can be seen within the UK labour force, where predominantly East European migrant workers take jobs with pay and conditions that British workers find unacceptable. It begs the question of why, if we find these conditions so intolerable, are we happy to benefit from others experiencing them? The fact of the matter is that our relative comfort and economic and social privilege makes it unthinkable that we would ever end up working to death in a sweatshop. If we have the right and the capability to refuse such dangerous and degrading work, shouldn’t everyone? Of course, to most, the knowledge that such terrible conditions exist in other parts of the world is enough to provoke some indignation. The question then becomes “What can I do about changing this situation to one that is more just?” The variety of possible tactics is extensive, from writing letters to influential people to boycotting goods to taking direct action against the multinational perpetrators. Whilst many of the existing campaigns are undoubtedly committed and do help to force minor concessions, it often seems to me that they fail to address the root cause of the problem, falling short of criticising globalised capitalism itself. Whilst many factors contribute to this failure, I am certain that the economic and social privilege of activists is central to it. People who benefit from the convenience and variety of modern consumer goods have a vested interest in those goods remaining available. Likewise those who benefit from the economic prosperity of the UK have something to lose from a redistribution of that wealth. However much we might like the idea of equality and freedom for the world’s peoples, we have many obstacles to overcome in terms of our ingrained sense of entitlement to the fruits of the world’s labour and to the artificial abundance of our cities and homes. This geographical and economic privilege, like white privilege or male privilege, is invisible to those on whom it is conferred most of the time, which is why it is so difficult to confront. Even when examples as stark as the creation of millions of Untermenschen in China to satisfy our consumer demands are raised, we have a tendency to deflect responsibility from ourselves towards obvious bad guys like politicians and CEOs. At a subconscious level we deny our dependence on unequal and abusive relationships because it challenges our sense of ourselves as ethically consistent beings. In an activist scene that emphasises external problems, privilege, the enemy within, is often neglected. It is less challenging and makes us feel better to be attacking the evil Apple corporation than it does to be unpicking our own attachment to the comfort and convenience we derive from the neoliberal economic system. 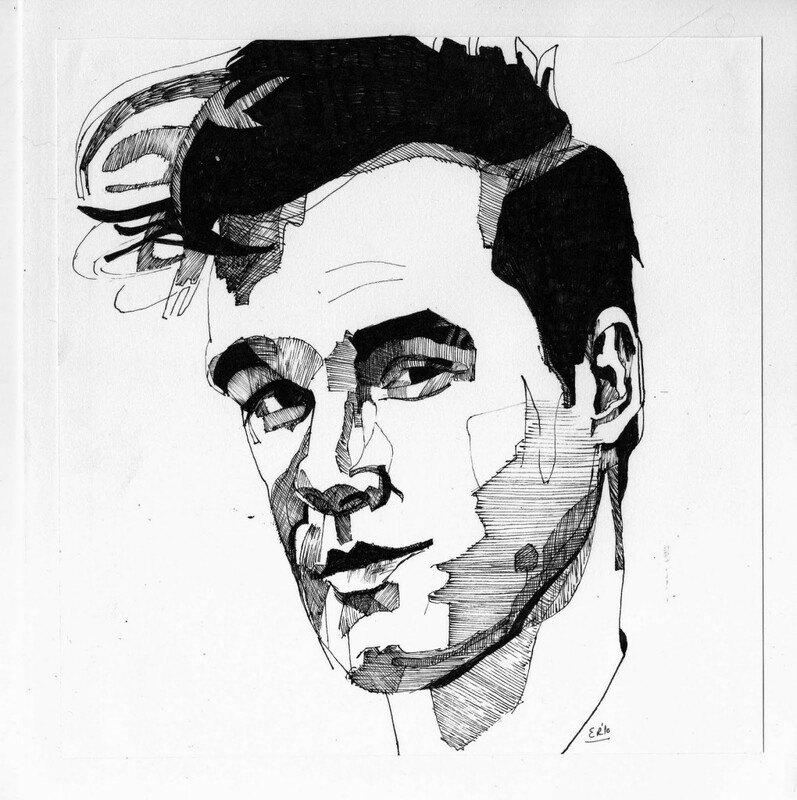 Morrissey’s sporadic outbursts are easily dismissed as thoughtless bigotry or cynical self-marketing. What is harder to dismiss is the enforced brutal poverty of millions of the world’s population that is justified through the idea that they are some kind of “subspecies”; that they are not worthy of the same rights as people in our Me-First World. It is cowardice and ethical inconsistency to reject the former without rejecting the latter. No matter what privileges we might lose if we were to successfully challenge the dehumanising force of global capital, it is a necessary step in undermining a way of life that makes monsters of us all. Isn’t it more a cultural difference between the east and the west that can result in Morrissey saying that the Chinese are a ‘subspecies’. Yes, we abuse the East for the nice things we get in the west. I agree that countries such as UK and USA treat some people in the East as our economic slaves. But Morrissey’s comments relate to the way the chinese treat animals. We, in the west, think that some of the things we have heard or seen the chinese do (via the media) are barbaric, and that is what Morrissey seems to be saying. But isn’t this a cultural difference between the treatment of animals in the different cultures, rather than a predominantly economic issue. I accept that the 2 things are related: If I earnt a lot less money and could make money from animals I might be less inclined to see them as cute furry things, and more inclined to use/eat/skin them to raise money to feed my family. The article is not about what Morrissey said but about the hypocrisy of the reaction to it. Morrissey seems to think that everyone of Chinese ethnicity behaves similarly, a trap you also seem to fall into with comments like “the way the chinese treat animals” and “the things we have heard or seen the chinese do”. In fact, of course, there are people who treat animals with contempt from every ethnic group as well as animal rights activists from every ethnic group. The idea that there are ‘races’ or ‘subspecies’ of humans is hokum. My article is about why it is hypocritical for Guardian readers and their ilk to be outraged by Morrissey’s labelling of the Chinese as a ‘subspecies’ whilst they continue to condone the actual treatment of millions of Chinese labourers as such.